for you to purchase / remit your tuition safely and securely by Paypal. Southern Mantis Events on Video! This "Wong Fei Hong and the Jook Lum Temple" movie producer was Zheng Guang Hai, who was a student of Wong Yook Gong's Kwongsai Mantis in Pingshan Town. 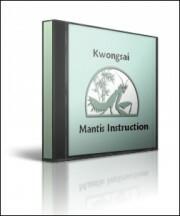 Although, the movie calls and shows the banners of Kwongsai Mantis, the actors were Chu Gar. 63 Minutes Approx. The film features Kwan Tak Hing and Shek Kin! 57,000 plus clip previews on Youtube. Get your full copy now! Late Sifu Wong Yook Gong Kwongsai Jook Lum Clan 35th Anniversary Celebration, circa 2003. Complete forms demonstrated, numerous two man weapons sets, three step scissors set, four doors set, southern mantis plum blossom pole set, south mantis broadsword, and other kungfu. This eBook also contains short footage of Hakka unicorn dancing and the dinner banquet. 30 Minutes approx. Get your full copy now! Volume 1003 - A rare collection of Hakka Boxing. Complete Sets. Hakka Mantis; Kwongsai Jook Lum, Chu Gar Gao, Iron Ox. Hakka Bak Mei White Eyebrow, Hakka Dragon Shadow Style, Obscure Hakka Styles, Hakka Sword, Hakka Pole and much more. Dozens of complete boxing sets from 1977 onward. Boxing sets only - no Lions or Unicorns. 20 Minutes approx. Get your copy now! Volume 1004 - A second rare collection of Hakka Boxing. Complete Sets. Hakka Mantis; Kwongsai Jook Lum, Chu Gar Gao, Iron Ox. Hakka Bak Mei White Eyebrow, Hakka Dragon Shadow Style, Obscure Hakka Styles, Hakka Sword, Hakka Pole and much more. Dozens of complete boxing sets from 1977 onward. Boxing sets only - no Lions or Unicorns. 21 Minutes approx. Get your fully copy now! Volume 1005 - Join the 1989 Cheng Wan Chu Gar Mantis Celebration in Hong Kong! Cheng Wan Sifu was the inheritor of Chu Gar descended from Lao Sui. Complete boxing sets. Two man weapons sets. A one of a kind old style traditional kungfu celebration that you'll never be invited to otherwise. Excellent Southern Mantis boxing. A Must for your Library. 15 Minutes approx. Get your copy now! HAKKA MANTIS AT YOUR FINGERTIPS!